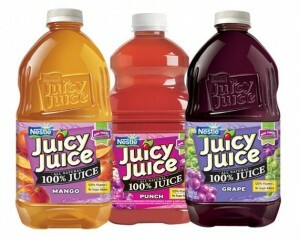 Home > Printable Coupons > Juicy Juice Coupon | Only $1.45 at Target! Juicy Juice Coupon | Only $1.45 at Target! There is a super rare Nestle Juicy Juice coupon this morning! If you like this product, grab three copies now. You can pair it with some Target coupons below for a fun deal. Makes it $4.36 or $1.45 each! You’ll need two computers to print three copies of the Juicy Juice coupon. If you don’t have two computers at home, ask a family member or friend to print one for you!